The beauty of a house is incomplete without quality furniture. 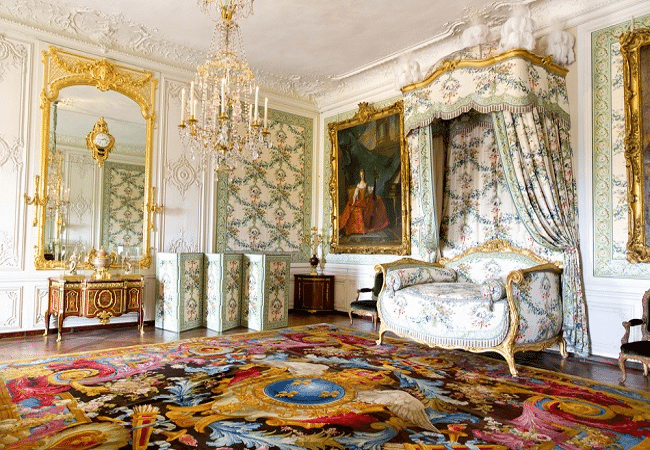 French style furniture will provide a royal feel to the house. As it is known, French style is more known for the “romance”! The same is also true for the French style furniture the décor, as it adds a romantic ambience to the decoration of a house. Making this kind of furniture requires expert craftsmanship. The carvings and curves of the furniture can mesmerize the onlookers. One can find a lot of variety of French style furniture. The majority of them are made from sturdy wood of oak wood or other natural material. They are available in matching colors or even in varnish or glossy wooden finish. The honey brown, white, beige, light shades of green and ‘pine’ color are some of the most commonly sought colors for French style furniture. The French style furniture can include the common items like beds, desks, tables, wardrobes, bathroom cabinets and many more. Bedside lamps, drapes and lamp shades are also integral part of this French country style, and these play a significant role in decorating your home with classical yet modern look! The furniture made from iron rods is oxidized to give you an aged appearance and gives you feel of antiques. The most common patterns that you find in French country style furniture are farmland, flowers, and fruits which were grown in the French countryside of the region in the past; this skill of pattern, are applied to all types of furniture. The beauty can be enhanced more by applying similar patterns on the walls. You can always design the furniture according to your choice. The old country look is very popular and will provide an informal feel to your interiors. Each pattern and color can affect your emotions differently! Therefore, you need to be very precise about what style do you wish to apply to interior. 1) It revamps any decor: Addition of French style furniture will give you an elegant look without much modification of other decor of your house. It can make a wonderful addition to your home, even if you are not sure of what blends in nicely with your current décor. 2) It is simple but exquisite: This furniture possesses simple patterns that you observe in daily life. However, it is the presentation which steals the show. 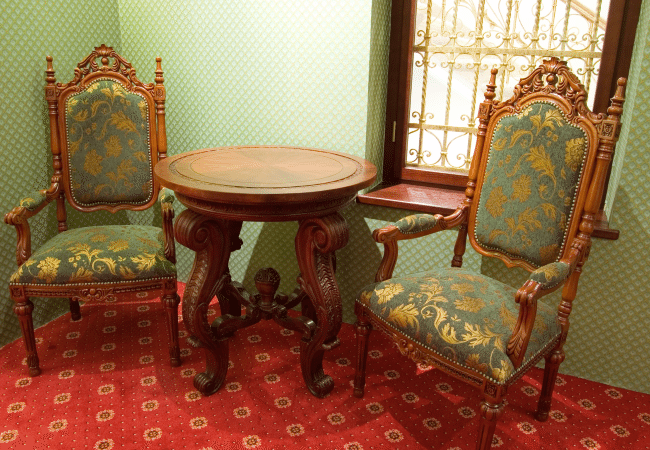 3) It is an example of craftsmanship: It requires a lot of detailing and patience to prepare this kind of furniture. It is like putting the soul in the furniture which will speak for itself! Material – The chief material used for crafting this furniture’s consists of hardwood. The raw wood is then lovingly carved into various designs. The curves and patterns of flowers are characteristics of this style. It allows you to feel relaxed and in contact with nature. This style is quite popular as bedroom furniture. No abrupt angles and no sharp edges! Every part is smooth and curvy about this furniture! Color – The fact is that there is no need to apply bright colors to draw attention. The natural patterns of wood itself are enough attraction. However, you can subtle colors to your furniture, so that it matches with other furniture. A bright green, turquoise blue or shimmering gold can be interestingly paired with duller shades of gray and black. You can also apply transparent varnish or polish so that you can bring out the natural beauty of wood. 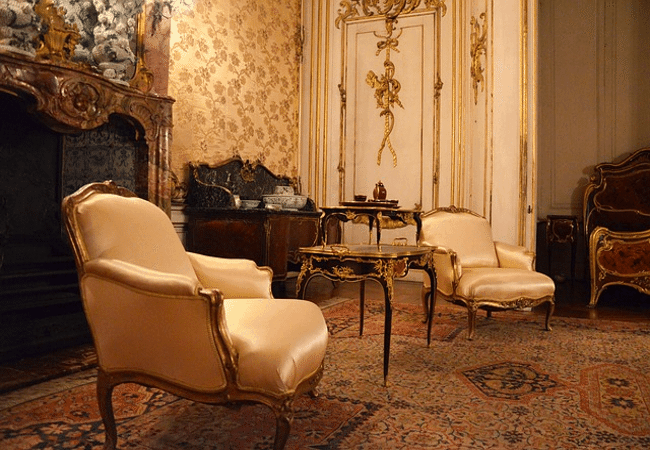 French furniture has always been popular because it is timeless!